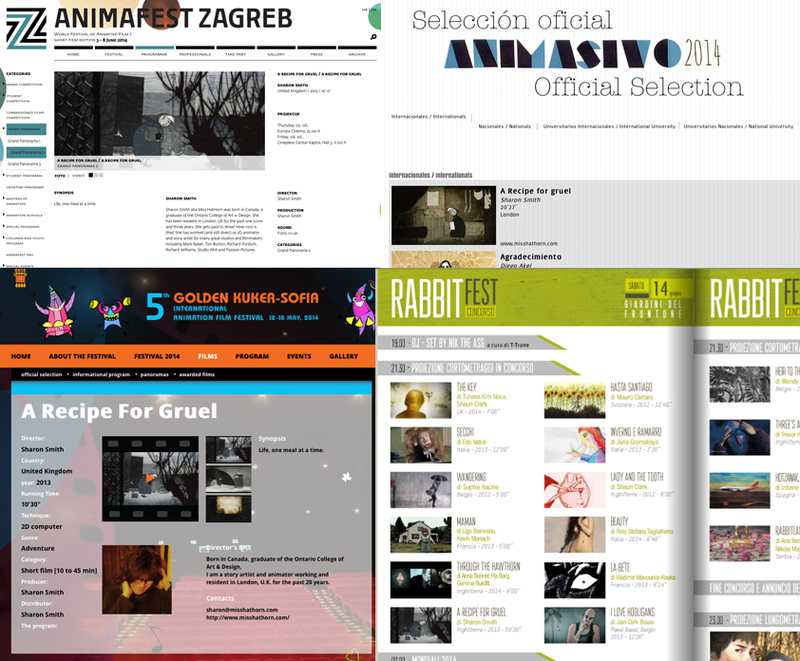 This month ‘A Recipe For Gruel’ will screen in Mexico city at Animasivo and Anima Mundi in Rio de Janeiro! In August it will be in competition at the Hiroshima International Animation Festival and September in Varna Bulgaria. Whew!